Western Reserve Realty Group has experienced tremendous growth in the first half of 2004! We recently opened a branch office in the Cleveland area to facilitate our expansion throughout northeast Ohio. This includes an ever-growing list of foreclosure and VA properties for both investors and home buyers. We are now members of both CRISMLS and NORMLS, as well as both the Cleveland Area and Youngstown-Columbiana Area Boards of Realtors, giving our agents access to even more resources for their clients. WRRG welcomes agent Michael Russo as the branch office manager. Mr. Russo has worked in the real estate field for over 6 years and has a degree in international finance. The commercial division will be headed by John Simeone, with 33-plus years of experience, and Steve Holowach, with over 10 years of experience. The WRRG company roster has also expanded to include two new full-time Realtors® in the Main Office, Harold Penwell and Nancy Zimbardi. Mr. Penwell, as part of the WRRG REO Team, specializes in corporate-owned and VA properties throughout the area. Ms. Zimbardi excels in customer service and loves helping Mahoning Valley buyers find their dream home. Both have extensive experience in the real estate industry & look forward to many years with WRRG! Despite rising interest rates, five of our (then) seven agents exceeded $1 million in sales for the past fiscal year: Karen Carusone, Steve Holowach, Susan Penwell, Marilyn Shovlin & John Simeone. Our agents have sold over 130 properties in the first half of 2004, compared to approximately 100 during the same time period last year. In the development area, The Orchard of Howland, our premier condominium community, has officially begun! Pre-construction prices are available for a limited time. More information can be obtained through the [Developments] link on our Menu or by calling Karen Carusone at 330.501.3703. Our most recent development, Seneca Woods in Girard, has only three lots left available, all under $50,000! Don't miss your chance to live in this prestigious, beautiful location! For information and a plat map, please see the [Developments] page or contact John Simeone at 330.565.2810. Lastly, in personal news, Realtor® & Russian Orthodox priest Steve Holowach recently performed his daughter's wedding ceremony at Nativity of Christ Church in Youngstown. It was a beautiful ceremony & reception, and we all send our best wishes to the newlyweds! Marilyn Shovlin's daughter will also be married within the next year; much happiness to her & her fiance as well! Susan Penwell will be awarded her third consecutive OAR President's Sales Club award later this summer, an award of which she is greatly deserving. Congratulations, Sue! 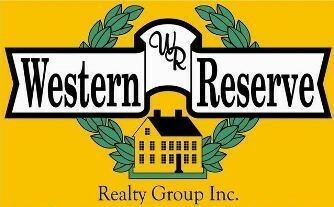 With so much happening at Western Reserve Realty Group, we would love to have you be a part of it! For professional, personal service from Realtors® and staff who are always available to you, contact us any time. We look forward to hearing from you!